Gaurav was one of the founding members of IFMR Capital. In his last role, he was the Chief Business Officer of IFMR Capital and the CEO of IFMR Investment Advisor, providing capital market solutions to companies and responsible for building strategic partnerships with clients, business origination, credit appraisal, structuring, and strategy. He has been instrumental in building the underwriting framework for underlying sectors. He has built and managed a large business with a tight focus on risk management, which has led to a nearly default-free track record over a decade. Over the last 10 years, he has led a high-powered team that builds underwriting standards for the organisation, develops the client franchise, assesses credit quality, executes high volume and complex structured finance transactions, and provides strategic advice to clients. He has also led the expansion of the business across asset classes. Gaurav has diligenced more than 500 corporates and financial institutions. He conceptualised the digital strategy of IFMR Capital and developed the only example of a go-to-market digital structured finance platform that could, at scale, execute USD 3 billion of trades. 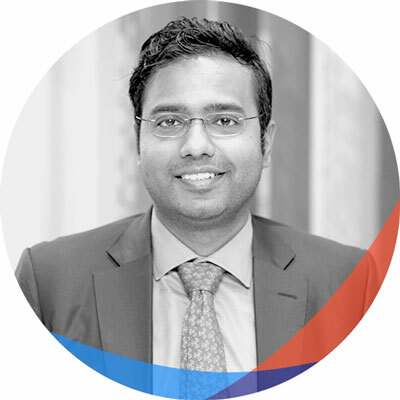 Gaurav is on the advisory board of tech and platform in India and Europe and advises the management on digital strategy and business plan. He has completed his master’s degree in business administration from IRMA and his bachelor’s degree from Delhi University.